Junk food patches – Stop those cravings with one easy sticker…! Have you ever been so hungry for a french fry that you just wanted to sniff it? Have you ever been so desperate to quench your cravings that you’d try a chocolate cake scratch and sniff sticker just to get a whiff of the imaginary dessert? 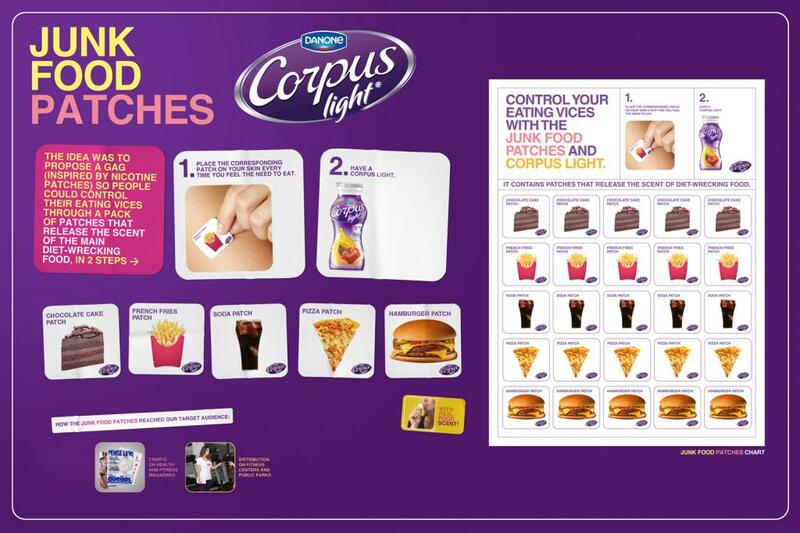 Introducing Danone Corpus Light Junk Food Patches! Just pick a patch, slap it on your arm, and rinse away your diet-wrecking cravings with a Corpus Light. 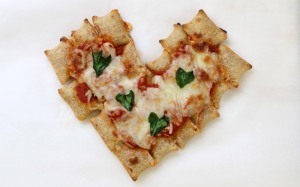 As the smell wafts up to your nose, reminding you every single second that you don’t actually have pizza at your desk, try to resist the urge to gnaw your arm off.